In the dark ages of the 20th century, human beings still labored with manual weekly and daily chores. These savages would toil begrudgingly with push vacuums tangled in wires and even personally manicure their lawns with reel mowers — a curious species indeed. Fortunately, in the smart home area of digital assistants, droid lawnmowers, and roving robotic vacuums, the days of such life-sucking rigmarole are no more. While the first wave of robovacs were fairly limited technologically, the latest models are significantly more intuitive, connected, and capable than their caroming predecessors. From units designed with pets in mind, to a solid budget option, here are the best robot vacuums a pile of greenbacks can buy. And if you’d rather do things the old-fashioned way, we also compiled a roundup of the best traditional vacuum cleaners currently on the market as well. This smart Eufy RoboVac is an affordable and versatile little vac bot that has a particularly good design. 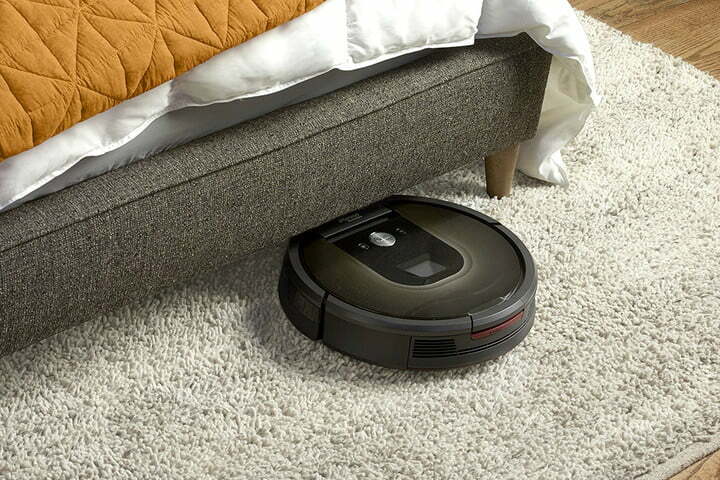 The slim vac can fit under most furniture, but has even traction to climb up onto high-level carpet when necessary (a common bane of many robot vacuums). Using and emptying the vac is designed to be as simple as possible so that new owners don’t have to worry about learning too much. That “Boost IQ” feature will increase suction on tougher areas like thick carpet, and there’s a mode for spot cleaning and edge cleaning depending on the task (you can command the bot with a remote as well the app). As with most modern robot vacs, you can also set a schedule for when you want the vac to start the cleaning routine. Beyond this, the 11S is pretty short on features. You can’t set cleaning patterns – the bot cleans in random directions, so it may take a little time for a full clean. But the multi-surface capabilities and affordable cost still make this model a real winner. In the smart home era, preheating the oven, adding a little extra drying time to laundry, and even locking our doors are all tasks of the past. That said, with one of the most advanced apps and overall connectivity, the Neato Botvac Connected is our pick for the fully functioning smart home. 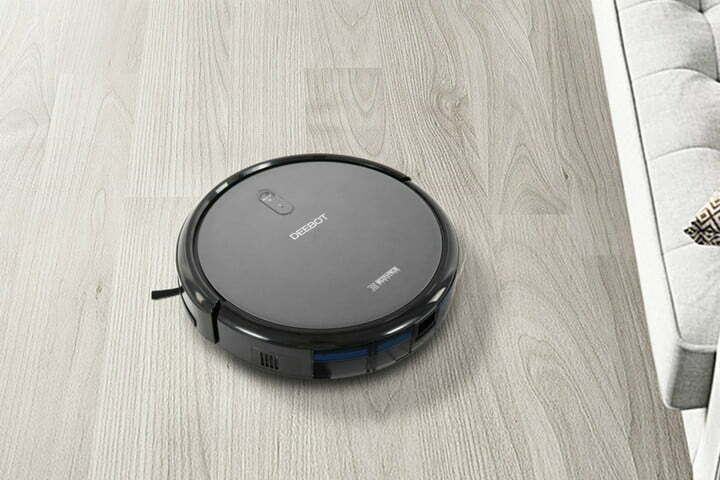 The Botvac Connected can easily be set or commanded to clean your entire home, spot sweep a specific section of a room, or even cover higher traffic areas twice for good measure. Once set up, you can easily check in on the bot to schedule tasks and similarly receive notifications as rooms are cleaned via the Neato app. The bot can also be paired with If This Then That for added versatility. Unlike more rudimetary robovacs, this Neato model comes with 13 feet of magnetic strips to set up boundaries around the home or apartment. This is a great way to prevent the unit from bumping into pet’s food dishes and also partitioning play areas to keep the bot from chewing up toys. These strips are easy to cut and set in place, and while it does add the overall setup process, you will enjoy the added control after the fact. 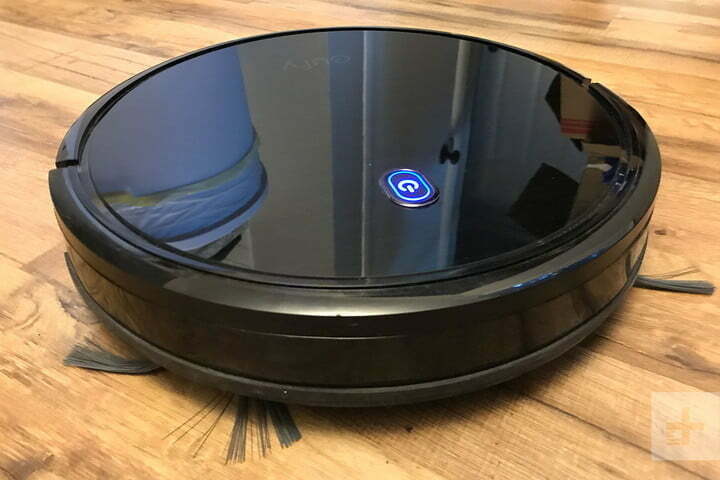 Those sensitive to allergens will appreciate Ultra Performance Filter and, with Neato’s D-shape build, this robotic vacuum is a boss when it comes to cornering. Few homes are limited to just carpet or hardwood, and not all robotic vacuums are capable of tackling high-pile carpets or linoleum. That said, the Roomba 980 can handle the full spectrum of flooring options in your home. While many models boast a turbo and efficiency model, these are often options you need to tweak manually as the bot moves about the home, and babysitting your vacuum sort of defeats the purpose of allocating the task to a droid in the first place. That said, the Roomba 980 AeroForce Cleaning System automatically adapts to its environment, increasing or decreasing the suction for the terrain underfoot at a given time. Some models — like the aforementioned Botvac Connected — use magnetic strips to establish a perimeter fence to prevent the vacuum from venturing into unwanted areas. The Roomba 980, on the other hand, allows you to establish omnidirectional virtual walls and halos throughout your home via the iRobot Home App. This app also features a Clean Map for notifications and scheduling. The filter does capture particles as small as 10 microns; however, those more sensitive to indoor allergens may need to choose a different model. If you have a lot of furniture to clean under, then Neato Botvac D80 is one of the best models. Like the other Neato model on this roundup, this unit incorporates the D-Shape build and extended side brushes to clean corners and edge more effectively than other rounded vacuums. The D80 also comes with a pair of interchangeable blades to grab debris and hair across the full gauntlet of surfaces around the home. 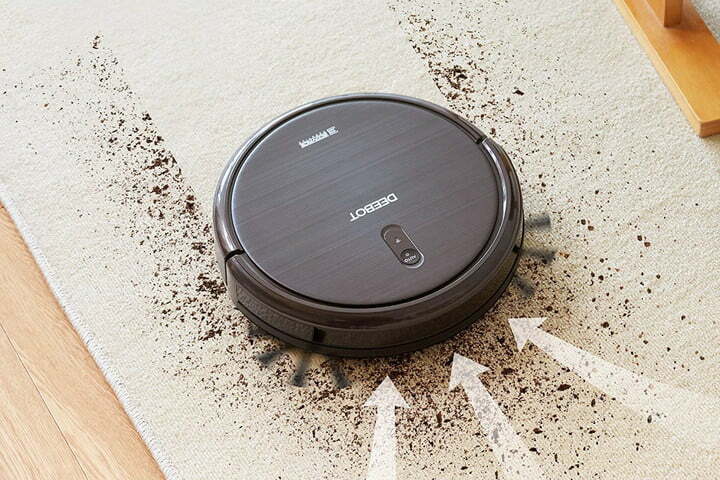 This vacuum uses laser-guided mapping to efficiently move about without clumsily bumping into too many items (or sleeping pets) around the home to recalibrate. This may seem like a digression, however, anyone who has been in a room with the more rudimentary “bump and pivot” models knows, the incessant tapping can we be annoying when you’re trying to relax, nap, or enjoy a movie. The Deebot 901 combines extra power with very smart features that are great for tech junkies who want to upgrade an old model or finally adopt a robot vac of their own. It integrates with both Google Home and Amazon Alexa for voice controls and offers up to 100 minutes of cleaning per charge for all types of flooring except very thick carpet. It also uses what we found to be very accurate smart mapping to get a picture of surroundings and avoid collisions while plotting the best paths. The traditional spinning brushes are here, but you can back them up with a suction attachment that excels at removing extra debris, like matted pet hair. This is particularly useful if your pets like to lounge on the carpet but tend to leave a lot of themselves behind. The N79’s “Smart Motion” navigation system is effective, guiding the vacuum around rooms with a low chance of getting stuck. 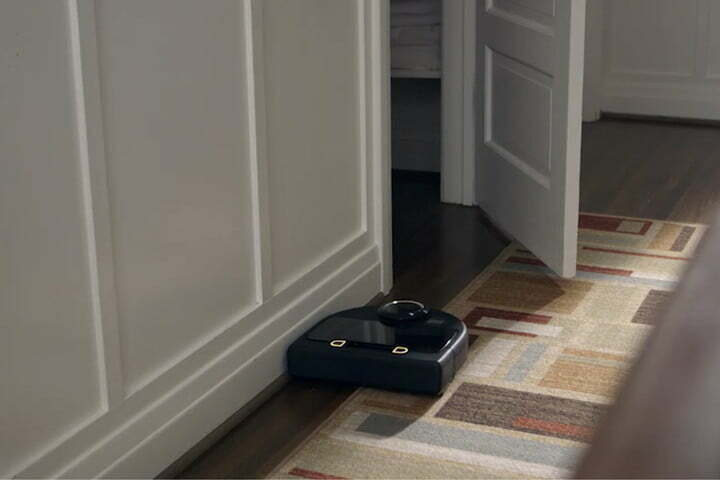 Although no robot vacuum is foolproof — a stray cable here or there can trip them up — the N79 is fairly reliable. It’s also quiet, which is good if you plan on running the vacuum while you’re bingeing Netflix shows. Users can control the N79 via a smartphone app, so you don’t even have to be home to schedule a cleaning session. 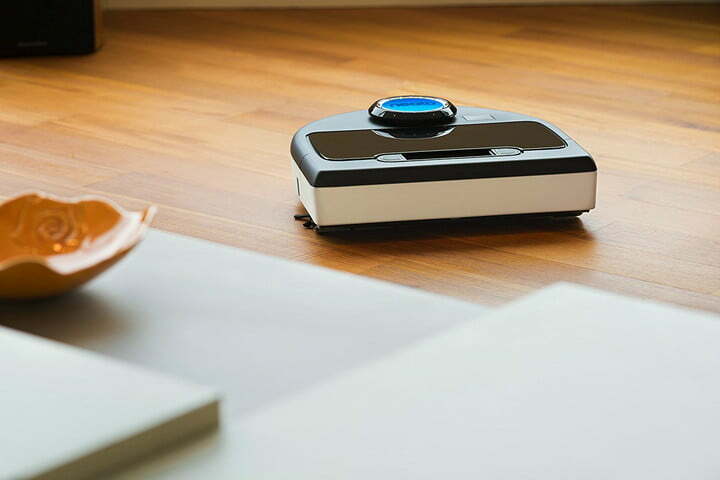 The Deebot N79 isn’t particularly powerful; those with thick carpets might want to look elsewhere, but for those who have hardwood floors and not a lot of messes, it should be all you need.